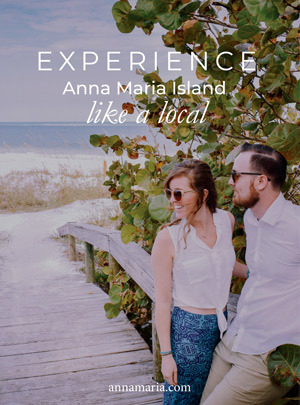 Check out these amazing Anna Maria Island vacation rentals available in April for a family vacation to the beach this Easter. With 4 bedrooms and 3 bathrooms-this property is separated into a main house and an additional attached suite that offers a cozy living area and a kitchen! The sleeping arrangements include 3 King sized beds, 2 Twins and 1 Queen sleeper sofa-for a total of 10. With two living areas and two kitchens-this home is ideal for multiple families! 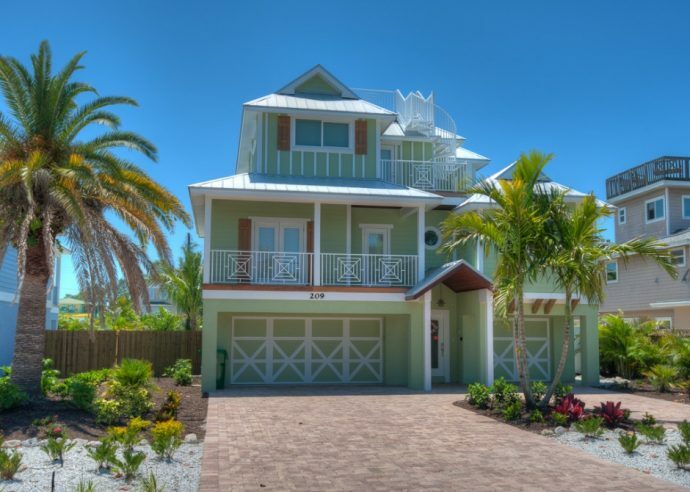 Conch House is a new, luxury island home with 6 bedrooms and 4.5 bathrooms. The pool area is an oasis of luxury, including a 6′ water-slide, a unique enclosed “grotto” spa, lush tropical landscaping, a pool side bar with TV under the large covered lanai. Relax reading a book or join in a friendly competitive game of ping pong. Offering all new kitchen cabinets, appliances, tile flooring and so much more-this property is ideal to serve as your home away from home. 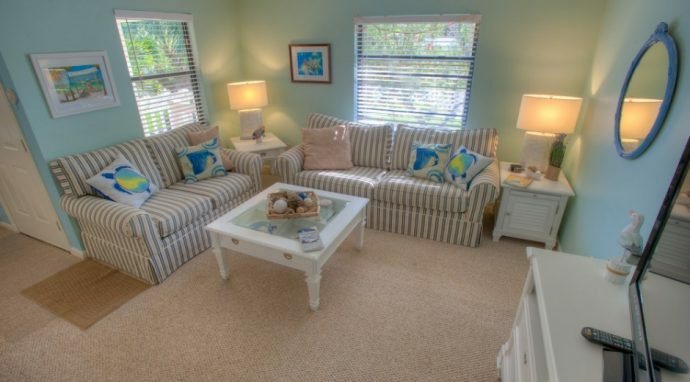 With two master suites, each with their private bathroom, Emerald Seas is a fantastic retreat for multiple families. Mermaids Sunrise is a cute as a button 3 bedroom and 2 bathroom private duplex that features its own large private heated pool with a spa. The stunning white sandy beaches of the Gulf of Mexico are just a 1 minute walk away, and the home features a TV in every bedroom. An elevated home with a great screened in back porch and open air front porch, there are many great options for enjoying the light ocean breezes off of the water. 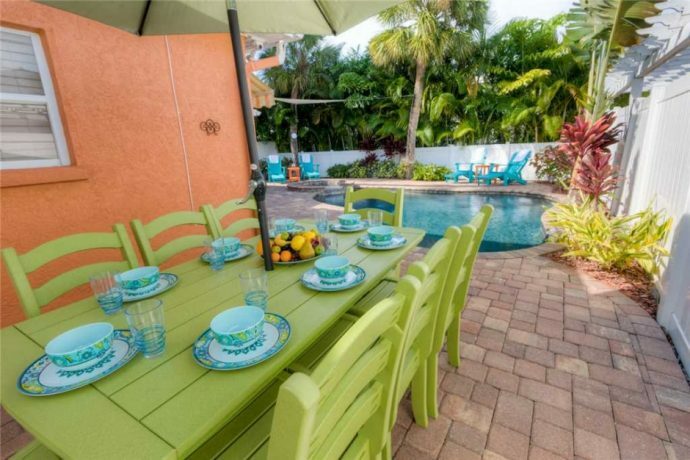 This 3 bed, 2.5 bath vacation home is only 4 houses way from the beach and has a private heated pool and hot tub for guest use. 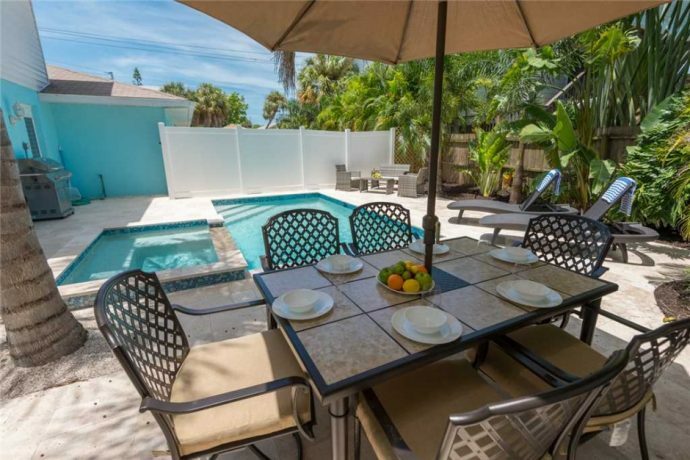 Let the warm Florida sunshine and tropical backyard of Plumbago A greet you upon your arrival to Anna Maria Island. Skip the unpacking and splash right into the tropical private heated pool–your vacation has officially started! 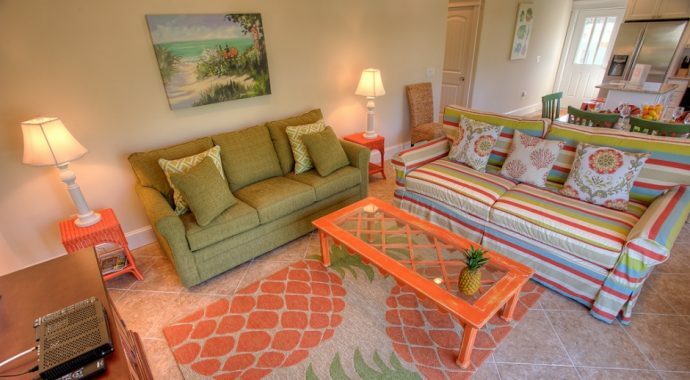 This professionally decorated 3 bedroom and 2 bathroom home is the ideal retreat for you and your family. 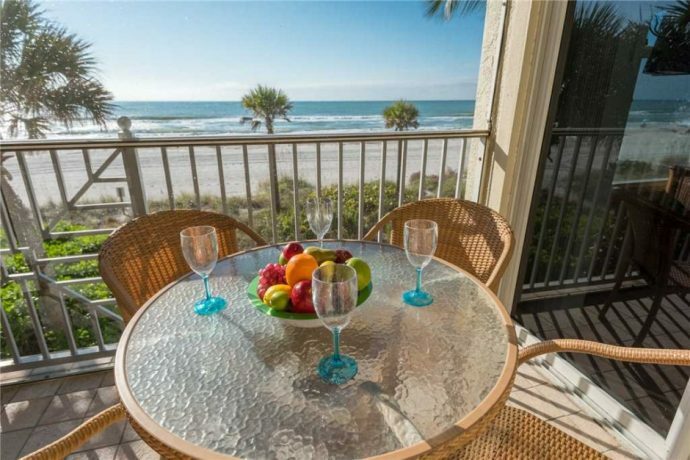 Walk out through the glass sliders to your private balcony and enjoy your morning coffee while listening to the sounds of the waves gently caressing the shore in this 3 bed, 2 bath home. 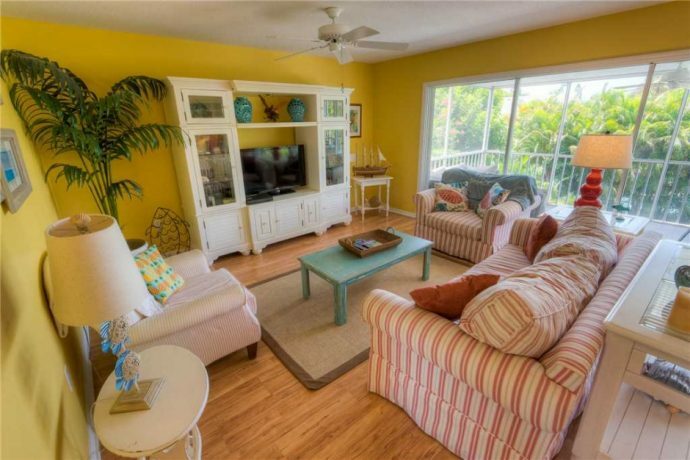 Master bedroom and living room offers spectacular direct gulf front views of the Gulf of Mexico. 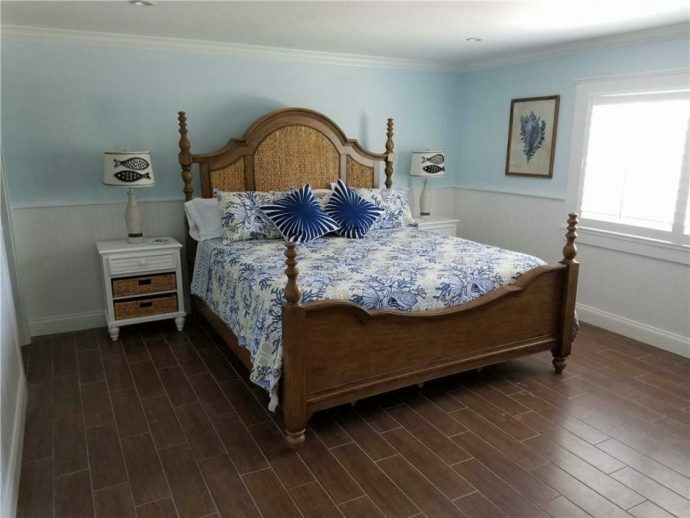 This condo accommodates 6 people as it has a king in the master bedroom and each guest room has a queen bed. Enjoy the private heated pool, waterslide, spa, swim-up Tiki table, rooftop deck with hot tub that offers Gulf and Bay water views and so much more! 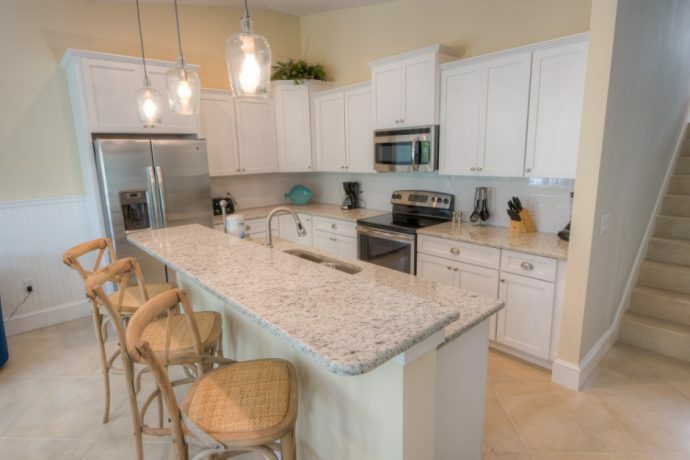 This home is just a short 2 minute walk from the pristine white sand beaches that Anna Maria Island is known for and is located down the road from local restaurants and shops!